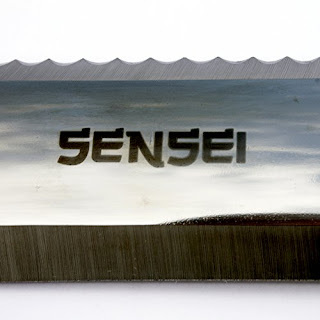 I was very excited to get to try this Hori Hori Garden Digging Knife. I love to garden and I am out in the yard digging in all 4 seasons and I admit I break at least 1 trowel a year. I had never seen anything like this digging knife before but I knew right away, this is exactly what I need! I don't have the luxury of a nice tilled garden. Mine is full of weeds, tree roots and clay so I really have to work to get things planted, divided and moved around. 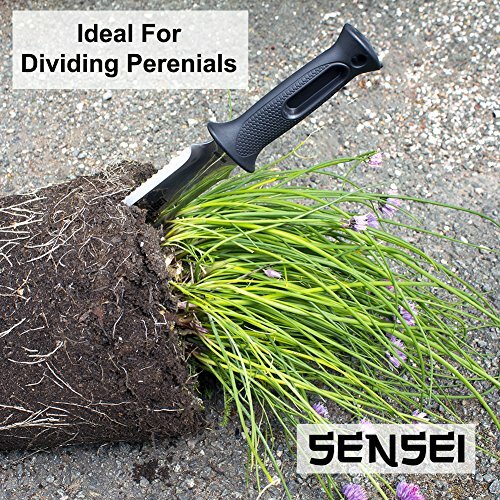 I love how sturdy this digging knife is and the depth that it can dig down to is wonderful to get my bulbs divided and the old rose bushes divided little by little. 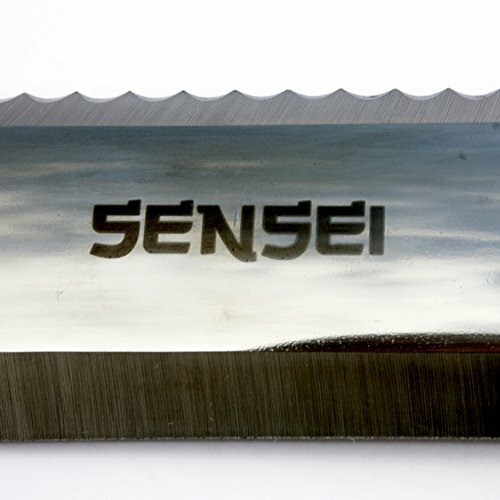 At first this garden knife looks a bit intimidating but once I started using it. I mastered it quite quickly. I like how easy it is to use and it fits nicely in my hand. 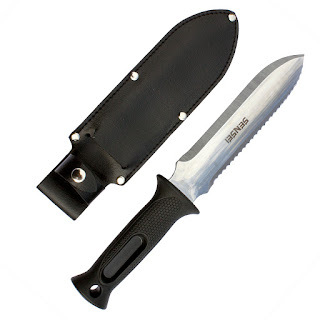 I feel confident and I get the job done when I am using this garden digging knife. 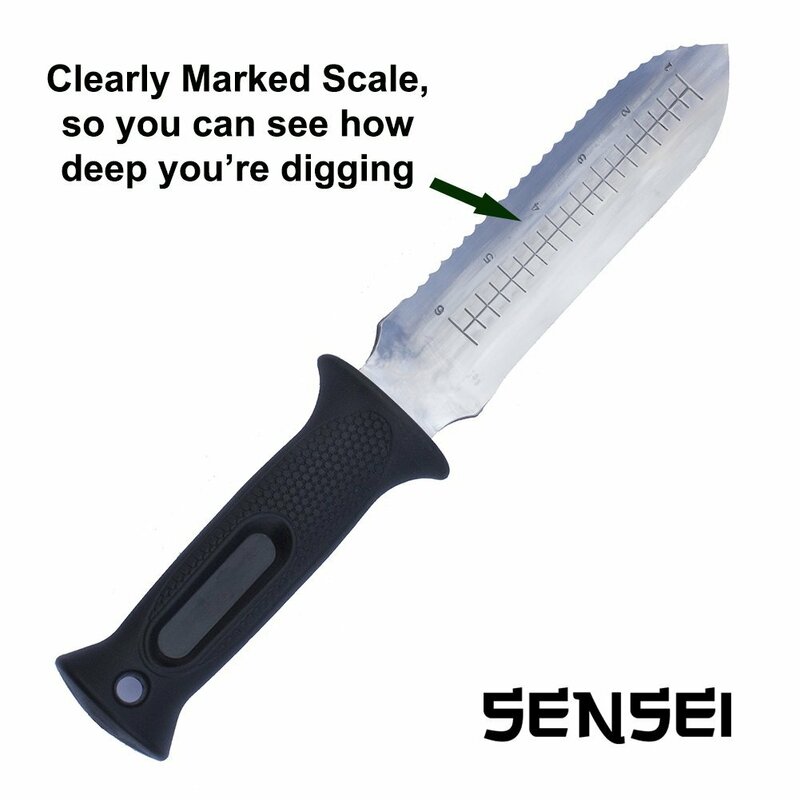 I like that it has the depth measurements on one side, it will come in handy when planting bulbs. 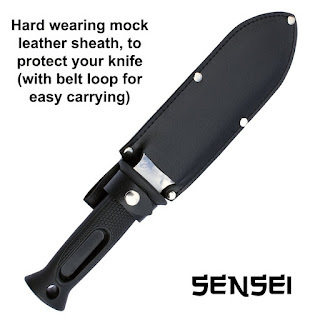 I like that it comes with a sheath with a snap enclosure to keep it in place when not in use. 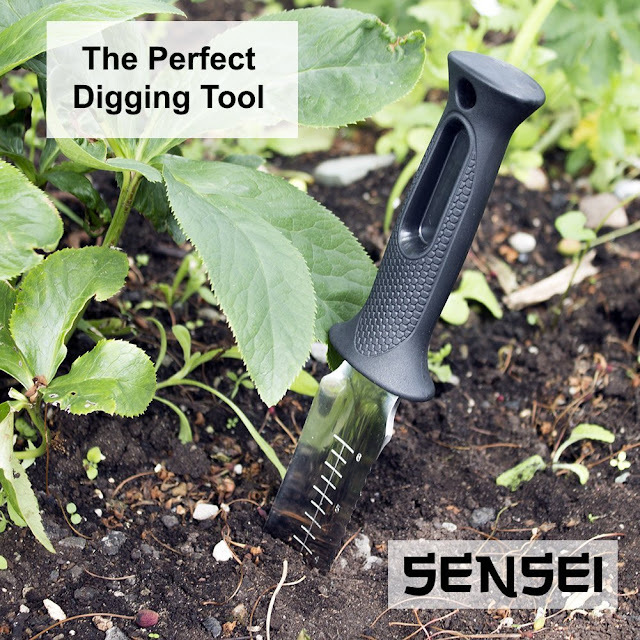 I think this is a nice garden tool for anyone who likes to get their hands dirty!